Your Pet’s Diet: Does It Really Matter? You just got back from the veterinarian and you feel completely overwhelmed. You just found out that your beloved 10 year old Poodle Dusty has been diagnosed with canine diabetes. Your veterinarian told you that Dusty is very sick and that if he doesn’t stay on the proper diet, he could die. You want to do everything you can to save Dusty and never realized how important his diet and weight were to his health. You think back on all those delicious treats you gave him and now worry that your loving care may have somehow harmed him. You want to do everything right from this day forward but don’t even know where to start. If your pet was just diagnosed with diabetes, liver disease or other life-threatening illness, your veterinarian will most likely give your pet a “prescription diet”. Your veterinarian’s office may carry a commercially prepared food that is specially formulated for your pet’s condition. These diets can be a lifesaver in that you can immediately get your pet on the right course. 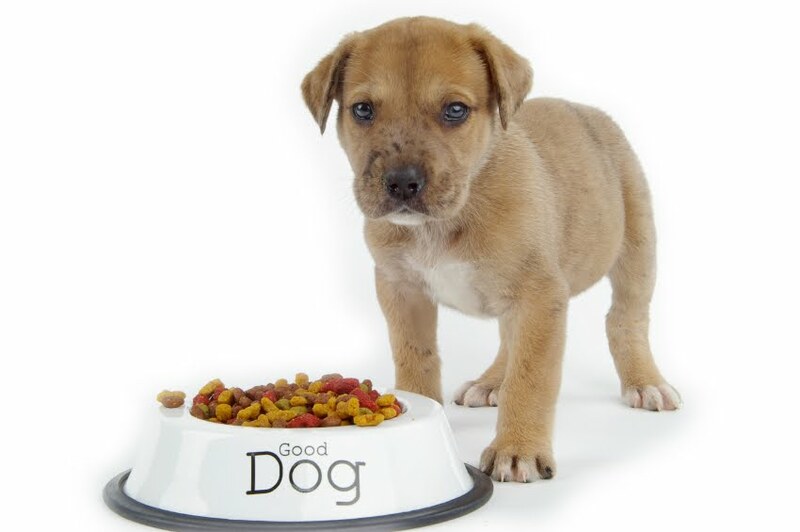 While they are nutritionally balanced to address your pet’s condition, the sources of the nutrients are not as wholesome as if you were to prepare the food yourself. You want to do the very best for your pet and consider the possibility of preparing a homemade diet. Regardless, now that your pet has been diagnosed with a health condition, it is imperative that you stick to the diet. Every time you stray, you could potentially put your pet’s health at risk. For example, diabetic pets require a carefully regulated routine of food, exercise and insulin administration to avoid potential large swings in blood sugar levels. Prior to a pet being diagnosed with a critical illness, most pet owners don’t realize the importance of proper nutrition for their pet. We want to spoil our pets and thus we give them everything from table food to every type of treat imaginable and our pets become overweight. Being overweight is not only problematic from an appearance standpoint, but it is directly linked to the onset of some critical illnesses such as heart disease, cancer and liver disease. For example, in Dusty’s situation, Dusty was approx 8-10 pounds overweight. Many owners are in denial and think the extra weight gives them more to love. What the extra weight represents is extra sugar in the body, more insulin that needs to be released, more work for the heart, liver and digestive tracts and ultimately the onset of disease. Beyond just the weight issue, what you feed your pet can directly affect your pet’s quality of life and aging process. Many commercial pet foods are lacking in sufficient enzymes, Omega 3 fatty acids and natural antioxidants. Even some of the highest quality brands may use inexpensive, potentially allergy-provoking fillers such as corn, soy, gluten, food colorings, preservatives and byproducts. Most pet owners never look at the labels and just rely on the advice of a friend, breeder or neighbor. Before purchasing pet food, take a look at the ingredients. Are there names you can’t pronounce? Ingredients you have never heard of? There are plenty of quality natural holistic brands of pet food that do prepare food naturally without byproducts, preservatives, etc. You can readily find them on the Internet or at boutique natural pet stores. These foods may come raw in the freezer section or as kibble or in cans. As an alternative to the holistic pet foods, another even more healthful option is a balanced and well prepared homemade diet. Homemade diets use fresh ingredients and can provide optimal nutrition for your pet, when they are properly prepared. However, the key here is balanced and properly prepared. Many people try to do it themselves and this can, in fact, cause more harm than good. A little information can be dangerous. This is because most homemade disease-specific diets on the Internet are very general and many sick pets have multiple health conditions. For example, someone with a pet with diabetes may read about a high protein diet online that has lamb or liver in it. These high fat ingredients would not be a good choice for a pet with diabetes that also happens to have pancreatitis or elevated liver enzymes. Thus, before you choose to pursue a homemade diet, you really need to seek out an expert who can develop a specific custom diet for your pet. Ask Ariel Your Pet Nutritionist can assist you with or your veterinarian may be able to provide you with a referral. In summary, the key to your pet’s good health is to take action NOW and not wait until your pet has been diagnosed with a life threatening disease that requires a restricted diet. Even if you don’t think you would have time to prepare a homemade diet, start first by taking a look at the label of your pet food. Many times, in an effort to save money, people will switch to a lower cost brand without realizing that they will pay many times over at the veterinarian’s office AND with their pet’s health. For instance, many pets with constant scratching, itching and coat problems are miserable because they cannot digest and are allergic to the corn, soy, wheat and fillers and other ingredients found in many commercial pet foods. I have seen countless numbers of pets whose allergy symptoms and skin problems resolve once they are put on an all-natural hypoallergenic diet. Similarly, try to remember that those brightly colored treats that are made to artificially taste like bacon, cheese, etc are there for your benefit (and purchase) not your pets. A far better choice would be to give your pet fresh vegetables such as carrots or a piece of apple. Believe it or not, most pets love vegetables and will readily eat them if their owners ever gave them a chance! Vegetables, along with fresh wholesome foods will help your pets achieve optimal health and ensure that they will live a high quality of life for years to come!